Most parents at some time face what may seem like insurmountable challenges in raising a child through adolescence and into young adulthood. But for the parent of a young addict, that challenge is especially gut wrenching and mostly uphill. 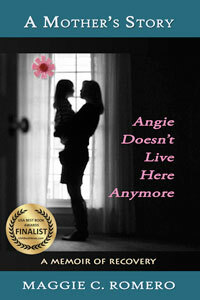 In this book, Maggie Romero graphically recounts a mom’s journey alongside her drug-addicted daughter with the unique perspective of her own struggle with addiction. Her insightful reflections will resonate with parents or anyone facing a like challenge and her final acceptance of herself after a spiritually compelling search is truly inspiring.